Due to the rapid development of China's economy, in 2007 the total domestic automobile sales reached 8.88 million, to achieve double-digit rapid growth for nine consecutive years. The 2008 financial crisis also has a greater impact on domestic cars, only to achieve sales of 93.85 million, the rate of decline to 6.70%. In the first half of 2009, the state implemented a series of policies to promote the development of the automobile industry, as well as the macroeconomic trend of domestic economic development is relatively stable, automobile production and marketing gradually out of the trough, showing a good momentum of development. In the first half of the year, car sales for the first time more than 6 million, an increase of 17.69%, once again to achieve double-digit growth is expected throughout the year sales will reach 11 million or more, the automotive industry in the world can be described as a single show. The rapid development of the automotive industry in the country, in the foreseeable future also has a very good development space, is expected in 2015 will achieve 18 million production and marketing goals. 2 Casting in the automotive application status 2.1 The status of the domestic castings Casting industry is an ancient and modern industry, casting products used in all walks of life, the casting industry's total output value has accounted for 0.5 to 1% of the gross national product output, Is to promote economic development, one of the important basic industries. Casting industry in China has developed rapidly, in 2002 China's total casting production has reached the world's first, to 2007 for six consecutive years to maintain the world's first, and the total casting production was sustained and rapid growth trend, Figure 2 lists the Casting production in China from 2002 to. Castings around the world also showed a gradual upward trend in 2005, the world's total casting products in 75 million tons, and in 2008 will reach nearly 100 million tons. China's rapid development of the casting industry is mainly domestic and foreign two environment contributed. In recent years, the gross domestic product (GDP) has developed rapidly at a rate of about 10% in recent years. The industries of automobile, machinery, metallurgy, construction and other industries have made historic leaps and bounds. The domestic demand for castings has increased rapidly year by year. 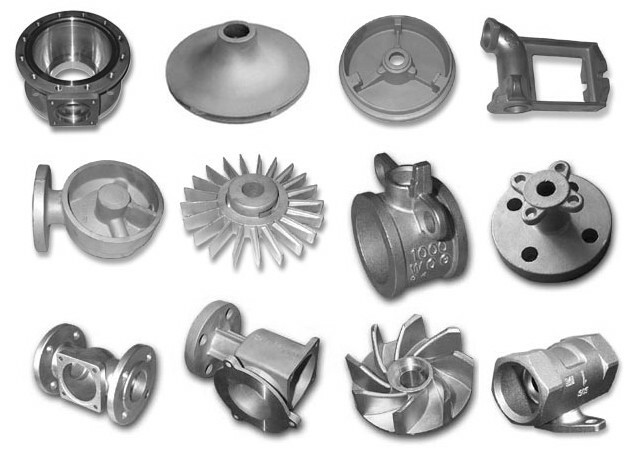 Developed countries are also important markets for casting applications, but these countries are subject to increasingly stringent environmental requirements, high man-made costs, in sharp contrast to low prices in China, resulting in a decline in casting manufacturing companies And other developing countries procurement, it also contributed to a large number of domestic exports of castings, an increase of domestic demand for castings. For the foreseeable future, the foundry industry is still China's most important basic industry, casting products will further increase the global market share, the domestic casting industry's dominant position, the world's rapid economic development, especially the casting products with more and more The broader sales market, casting industry is facing great opportunities for development.